Nexus 5 (codenamed Hammerhead) is an Android smartphone manufactured by LG Electronics for Google. Co-developed with and marketed by Google Inc. as part of its Nexus line of flagship devices and unveiled on October 31, 2013, the Nexus 5 served as the launch device for Android 4.4 "KitKat", which introduced a refreshed interface, performance improvements, increased Google Now integration, better battery life and other features. The Nexus 5 received mostly positive reviews, praising the device's balance of overall performance and cost in comparison to other "flagship" phones, along with the quality of its display and some of the changes introduced by Android 4.4. The display was, however, criticized for being too dim in comparison to other devices, and the camera was criticized for having inconsistent quality. Directly succeeding the Nexus 4, the Nexus 5 was followed by the Nexus 6 in late 2014 and then the Nexus 5X, the latter being more of a direct successor to the Nexus 5. The device was unveiled on October 31, 2013; it was made available for pre-order from Google Play Store the same day in 16 GB and 32 GB models. When released, the Nexus 5 was priced at US$349 for the 16 GB version and US$399 for the 32 GB version in the United States. This was much lower than comparable smartphones, which would cost around $649. As of 11 March 2015[update], the Nexus 5 is no longer available from Google Play Store. The exterior of the Nexus 5 is made from a polycarbonate shell with similarities to the 2013 Nexus 7, unlike its predecessor that uses a glass-based construction. Three exterior colors are available: black, white and red. Its hardware contains similarities to the LG G2; it is powered by a 2.26 GHz quad-core Snapdragon 800 processor with 2 GB of RAM, either 16 or 32 GB of internal storage, and a 2300 mAh battery. The Nexus 5 uses a 4.95-inch (marketed as 5-inch) 445 PPI 1080p IPS display, and includes an 8-megapixel rear-facing camera with optical image stabilization (OIS), and a 1.3-megapixel front-facing camera. The Nexus 5 supports LTE networks where available, unlike the Nexus 4 which unofficially supported LTE on AWS Band 4 only with a hidden software option, but was not formally approved or marketed for any LTE use. There are two variants of the Nexus 5, with varying support for cellular frequency bands; one is specific to North America (LG-D820), and the other is designed for the rest of the world (LG-D821). Notable new hardware features also include two new composite sensors: a step detector and a step counter. These new sensors allow applications to easily track steps when the user is walking, running, or climbing stairs. Both sensors are implemented in hardware for low power consumption. Like its predecessors, the Nexus 5 does not have a microSD card slot, while it features a multi-color LED notification light. There are two grills present on the lower edge of the Nexus 5: one is for the mono speaker and the other is for the microphone. The Nexus 5 was the first Android device to ship with Android 4.4 "KitKat", which had a refreshed interface, improved performance, improved NFC support (such as the ability to emulate a smart card), a new "HDR+" camera shooting mode, native printing functionality, a screen recording utility, and other new and improved functionality. The device also shipped with Google Now Launcher, a redesigned home screen which allows users to quickly access Google Now on a dedicated page, and allows voice search to be activated on the home screen with a voice command. Unlike the stock home screen, Google Now Launcher is not a component of Android itself; it is implemented as part of the Google Search application. Until 26 February 2014, when it was released on Google Play Store for selected Android 4.4 devices, Google Now Launcher was exclusively shipped by default on the Nexus 5, and was not enabled in Android 4.4 updates for any other Nexus device. While an update to the Google Search application containing Google Now Launcher (which itself was tweaked to improve compatibility with other devices as well) was publicly released shortly after the Nexus 5's release, the launcher itself could not at the time be enabled without installing a second shim application. Hangouts, which now supports text messaging, is used as the default text messaging application. In December 2013, the Nexus 5 began receiving the Android 4.4.1 update, which fixed issues with auto focus, white balance, HDR+ and other camera issues, while introducing some other camera issues for low-light scenes. It also fixes low speaker volume output in certain applications. Android 4.4.2 update followed in a few days, providing further bugfixes and security improvements. In early June 2014, the Nexus 5 received Android 4.4.3 update that included dozens of bug fixes, while another mid-June 2014 Android 4.4.4 update included a fix for an OpenSSL man-in-the-middle vulnerability. 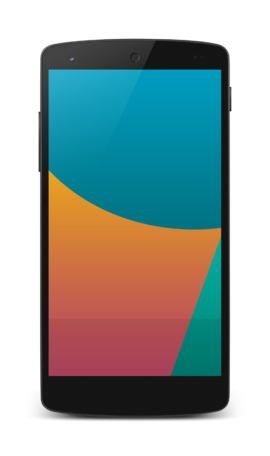 A developer preview of the Android 5.0 "Lollipop" system image was released for the Nexus 5 after the annual Google I/O conference held on June 26, 2014. The release version of Android 5.0 "Lollipop" was made available on November 12, 2014, in form of factory operating system images. On December 15, 2014 Android 5.0.1 "Lollipop" update began rolling out to Nexus 5 with build number LRX22C, the update was listed as being “miscellaneous Android updates.” In March 2015, the Nexus 5 began receiving the Android 5.1 "Lollipop" update, which addresses performance issues and other user interface tweaks; however, it is known to introduce certain camera issues. In June 2015, Google made the Android 5.1.1 "Lollipop" update available for Nexus 5 aiming to fix the bugs that were not fixed by Android 5.1 update. In May 2015, a developer preview of Android Marshmallow was made available for the Nexus 5. In November 2015, Nexus 5 started receiving Android 6.0 "Marshmallow" update across the world. Following which Nexus 5 became one of the first devices to get an Android 6.0.1 Marshmallow update in December 2015. In August 2016, Google confirmed that the Nexus 5 will not receive an official Android 7.0 Nougat update, meaning that Android 6.0.1 Marshmallow is the last officially supported Android version for the device. The Nexus 5's Snapdragon 800 has sufficient processing power to run Android 7.0 Nougat, as shown by successful tests with the Android N Developer Preview program (indeed the Snapdragon 800 is more powerful than the Snapdragon 410 which does support Nougat), and unofficial custom Nougat ROMs have been created for the Nexus 5. However, due to "Google’s requirement for high speed encryption, the Snapdragon 800/801 can’t pass the CTS (Compatibility Test Suite) and don’t comply with the CDD (Compatibility Definition Document)", resulting in such devices not being officially certified for Nougat. The Nexus 5 received mostly positive reviews; critics felt that the device provided a notable balance between performance and pricing. Although noting nuances with its display, such as its color reproduction and low maximum brightness in comparison to competitors, CNET praised software features such as the new phone dialer interface and Google Now integration on the home screen, but did not believe KitKat provided many major changes over its predecessors. Hangouts as the default text messaging app was criticized for its user interface and for attempting to force the use of a Google service, while the quality of photos taken with the device was described as being "great, but it didn't particularly blow me away." In conclusion, the Nexus 5 was given a 4 out of 5, concluding that "to even compare this $400 phone to those that cost upward of $650 unlocked (like the Samsung Galaxy S4, HTC One, and Apple iPhone 5S) speaks volumes about the Nexus 5's massive appeal and affordability", and that the device "extends the allure of the Nexus brand to anyone simply looking for an excellent yet inexpensive handset." Engadget was similarly positive in its review of the Nexus 5, but noted that the device's LTE support was lacking, as its supported bands are segregated across two model variants, and does not support Verizon Wireless. While praised for its crisp quality, it was noted that the display did not render colors (particularly black and white) as richly as the Galaxy S4, but added that "if you think saturated colors are overrated anyway, you're going to love the display here." While considered an improvement over the Nexus 4, the device's battery life was criticized for not being as good as its competitors, and the quality of its camera was considered to be inconsistent. In conclusion, Engadget argued that "whether or not it was the company's intent, Google is sending a message to smartphone makers that it's possible to make high-quality handsets without costing consumers the proverbial arm and leg. Now we just wait and see if that message will be warmly received." Compared to the LG G2 which was released earlier and shares the same manufacturer and much of the same hardware, the Nexus 5 has a lower-quality rear camera and smaller battery to hit a cheaper price point. However, Nexus 5 has been touted as a clean Android software alternative with the added advantage of running the latest Android 4.4 "KitKat". ^ a b The Google Store. The Nexus 5 was not listed. Retrieved 11 March 2015. ^ "Google Nexus 5". Google. ^ a b "Google Nexus 5 Review". AnandTech. Retrieved July 16, 2014. ^ a b c "Android KitKat". Android. Retrieved November 2, 2013. ^ a b c "Nexus 5 Teardown". ifixit.com. 2013. Retrieved November 15, 2013. ^ "LG Nexus 5 is official, runs Android 4.4 KitKat". gsmarena.com. Retrieved November 2, 2013. ^ a b Nickinson, Phil (November 6, 2013). "The Nexus 5 speaker: Yes, there's only one — and software may be hurting what you hear [updated]". androidcentral.com. Retrieved November 15, 2013. ^ "OET Exhibits List for FCC ID ZNFD820". fcc.gov. Archived from the original on January 2, 2014. Retrieved January 3, 2014. ^ "Google Unveils Nexus 5 With Android 4.4 KitKat". PC Magazine. Retrieved 29 May 2015. ^ Fitzsimmons, Michelle (October 31, 2013). "16GB Nexus 5 supplies in and out at Google Play Store". TechRadar. Retrieved November 1, 2013. ^ "Google's $349 Nexus 5 hits today with LTE, KitKat". cnet. Retrieved 26 September 2014. ^ "Google's Nexus 5: Nobody Does it Cheaper". PC Magazine. Retrieved 26 September 2014. ^ Bogdan Petrovan (2013-11-09). "Nexus 5 black vs white comparison: what's your choice?". androidauthority.com. Retrieved 2013-12-29. ^ Chris Smith (2014-02-24). "The red Nexus 5 is real and available now from the Google Play Store". TechRadar. Retrieved 2014-02-24. ^ a b "Google Announces The Nexus 5 and Android 4.4 Details". Anandtech. Retrieved November 1, 2013. ^ "Nexus 4 Includes Support for LTE on Band 4 (AWS)". Retrieved November 23, 2012. ^ Anthony, Sebastian (October 31, 2013). "Nexus 5 released today: $350 (off-contract) for a KitKat-powered superphone". ExtremeTech. Retrieved November 4, 2013. ^ Amadeo, Ron (2014-02-26). ""Google Now Launcher" hits Play Store, brings Google homescreen to GPE & Nexus devices". Ars Technica. Retrieved 27 February 2014. ^ Brian Klug (2013-11-14). "Android 4.4 Factory Images Now Available for Nexus 4, 7 (2012 and 2013), and 10". AnandTech. Retrieved 2013-11-19. ^ "The Nexus 5's "exclusive" launcher suspiciously receives support for other devices". Ars Technica. Retrieved 19 November 2013. ^ Bohn, Dieter (October 31, 2013). "Google's Nexus 5 with KitKat available today, starting at $349: hands-on impressions". The Verge. Retrieved November 1, 2013. ^ Official Nexus Google+ page (2013-12-05). "Android 4.4.1 Released to Nexus 5". Google Plus. Retrieved 2013-12-06. ^ David Pierce (2013-12-05). "Fixing the Nexus 5: with a new version of Android, Google tackles the camera". The Verge. Retrieved 2013-12-06. ^ Rajesh Pandey (2013-12-06). "What's new in Android 4.4.1". Android Beat. Retrieved 2013-12-07. ^ Artem Russakovskii (2013-12-09). "Android 4.4.2 (KOT49H) Is Already Rolling Out To All Nexus Devices - Here Are The OTA ZIP Links For Manual Updating". Android Police. Retrieved 2013-12-09. ^ Alex Dobie (2014-06-04). "Android 4.4.3 OTA Updates Hitting Nexus Devices". Android Central. ^ Andrew Martonik (2014-06-20). "Android 4.4.4 OTA Rollout Begins". Android Central. ^ "Android 5.0 Lollipop Factory Images posted for Nexus 5, Nexus 7, and Nexus 10". droid-life.com. 2014-11-12. Retrieved 2014-11-12. ^ "Nexus 5 Gets Android 5.0.1 Update Today, According to Sprint (Updated)". DROID LIFE. December 15, 2014. Retrieved December 15, 2014. ^ Loie Favre (2015-03-24). "Android 5.1 Lollipop update: everything you need to know". androidpit.com. Retrieved 2015-03-31. ^ "Android 5.1.1 Lollipop Update for Nexus 4, Nexus 5, Nexus 7, and Nexus 10: Availability Info". Android Geeks. June 5, 2015. Retrieved June 5, 2015. ^ "Downloads | Android Developers". Developer.android.com. Retrieved 2015-08-18. ^ Ruddock, David. "RIP: The Nexus 5 isn't getting Android 7.0 Nougat, let's say our goodbyes". Android Police. Illogical Robot LLC. Retrieved 24 August 2016. ^ a b "Nexus 5 review: the best phone $350 can buy". Engadget. Retrieved 29 May 2015. ^ a b Lynn La (2013-11-01). "Google Nexus 5 Review". CNET. Retrieved 2013-12-27. ^ "Review: LG's G2 smartphone gets caught living in the shadows of giants". Ars Technica. Retrieved 11 October 2013. ^ "LG G2 review". The Verge. Retrieved 25 December 2013. Wikimedia Commons has media related to Nexus 5.